The beautiful Seattle skyline evidences a variety of contemporary building styles. West Coast architectural design, popular from the Pacific Northwest down into Northern California, is an evolving vernacular architectural and decorating style. Current trends link back to Modernist architects from the 1940s who gave their young cities distinct style. Arthur Erickson in Vancouver and Pietro Belluschi in Portland were particularly influential. These architects embraced lack of but added appreciation for the natural beauty of their locations. Glass, stainless steel, light stone, and natural wood elements came together in an interplay of simple forms. The West Coast Vernacular style, evolving from these early roots, finds different expression in each location. Vancouver’s glass side towers give it a distinct blue-green look against ocean and mountains. Seattle’s skyline is multi-textural, with deco buildings and modern glass towers framing the Futurist Space Needle. Portland’s streetscapes are sustainability focused and carefully planned. Despite many differences, elements in each city echo each other. Our sales data has shown how the regional architectural styles in New York, California, and Nevada influence their hardscape choices. We wondered how this regional influence might play out in adjacent cities, even across a border. Would West Coast style mean similar hardscape choices were being made throughout the Pacific Northwest? We took a walk through Vancouver, Canada’s downtown to document the bollards there, and wondered if the models chosen would also be popular in Seattle, only 120 miles to the south. Would Portland also reflect similar aesthetic history in similar bollard choice? We showed that West Coast style is indeed evident in the choices Pacific planners are making for bollards and other hardscape all down the coast. Top-selling Seattle bollards and Portland bollards were all found in our bollard-tour of downtown Vancouver. Yet regional preferences in color and weight do make each city’s composition unique. In the aggregate, small decisions, made hundreds of times over, are influencing the distinctive feel of each city’s streetscape. Last summer we investigated the differences (and similarities) between Washington and Nevada’s sales orders. We hypothesized that Washington would show a preference for highly-ornamental cast-iron bollards. There are more arts-and-crafts styled homes preserved on the West Coast, with heavier edifices that could be balanced with cast-iron. Our guess did not bear out. Although some sites in Washington did indeed pick cast iron, most of the orders were straight bollards with little ornamentation. They reflect the rejection of ornament important to Modernism, which is at the root of West Coast Contemporary style. These bollard orders give us a clue to the styles of new projects being specified in an area. The biggest seller statewide in Washington is the R-7902 model. These simple steel sleeves are often used in parking lots to cover posts. They’re un-fussy and sometimes powder-coated yellow. In this bright color they’re often used around utilities and outdoor hazards. In Washington, the favorite color by a wide margin was black, not safety yellow. Simple black verticals provide visual depth without adding unnecessary ornamentation. Even small, seemingly insignificant structures—like those in a parking lot—can reflect regional styles. Washington prefers the thin, simple black cover, but Seattle’s main choice is slightly more decorative bollard with a futuristic feel. The R-7576 is cast in ductile iron, but with a simple columnar shape. Three annular rings decorate the top of the column. It is a little shorter than the R-7902, but with extra width and added style it remains a highly-visible traffic guide. 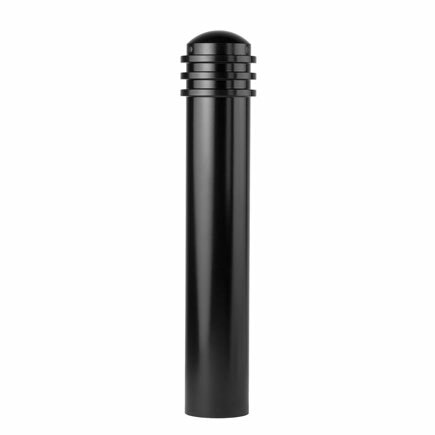 This bollard is often installed over impact-protective security pipe of 4-1/2 inches diameter. 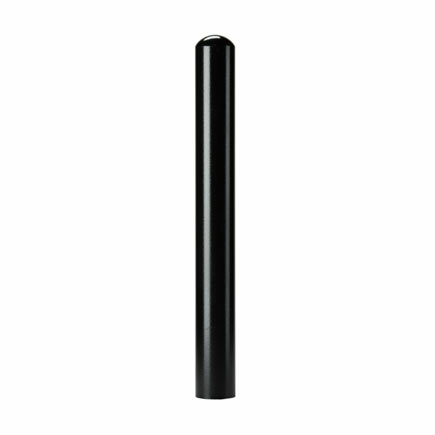 Seattle prefers this ringed bollard so greatly that we sold only a small handful of the plainer R-7902 bollards into Washington’s largest city. Oregon state increasingly funds and encourages active transportation of all sorts. Recently, funding for public transportation has joined a long-standing culture of cycle tourism and bike-friendly initiatives. In their efforts, sites and municipalities have ordered many types of bollards. Flexible polyurethane bollards, tougher than commonly-used bike lane markers, provide strong visual guidance. Bike bollards offer secure parking. The most common Oregon bollard statewide, however, is the R-7576, the same bollard loved in Seattle. Yet, as with the shift between Washington state and Seattle in particular, Portland stands out from the rest of the state. Portland’s bollards reflect the lightness of many of its buildings. There were no orders of the R-7576, Oregon’s favorite bollard, for Portland. Where the dark, modernist black was the breakout winner statewide, in Portland it was replaced by sleek simple stainless steel, usually with removable or retractable mountings. In much of the city, a modernist feel pervades new construction, with light colors dotting the green landscape. 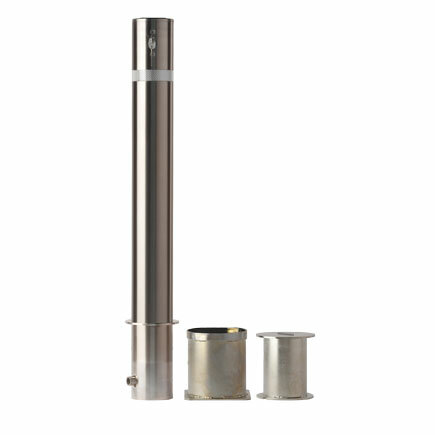 These stainless steel bollards reflect that airy feel. Removable or retractable options are useful in an adaptive, culturally dynamic city. Portland is known for its events and markets, and offers a pervading sense that public spaces can be re-envisioned with community inspiration. Simple removable bollards help support this evolving placemaking. However, Portland has distinct history. An anomaly on the West Coast, Portland has the second-largest collection of cast iron architecture in the US—only New York has more. New York’s red-brick and cast iron look is behind its preference for traditional cast-iron bollards. We can see similar reflected in bollard purchases for historic sections of Portland, with the popularity of orders for the decorative R-7589 model. 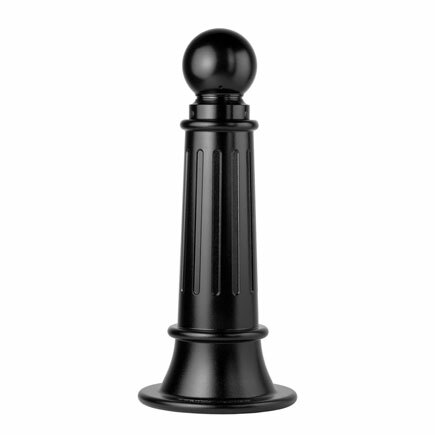 This cast-iron classical bollard is much larger and weightier than the modernist bollards otherwise popular. At its base, it reaches 15 inches in diameter, and rises along a fluted slope to a spherical cap on top. It’s a striking, hefty accent, which can also be used to cover security pipe. These decorative bollards are often placed around historical buildings, but as with New York, the bollard can be used to impart historical connotations for new builds. A decorative bollard is one of the ways that a contemporary architect can capture tradition for a new site, playing with the solid beauty of brick and iron in new ways. The West Coast of North America that did not have established metropolitan architecture when Industrialization changed urban living. This is not to say there was no architecture. Indigenous people all along the coast have distinct design from longhouse construction to adobe villages. Residential architecture up and down the coast reflects these building traditions. Yet rapid urbanization on the West Coast transformed relatively small towns into metropolitan areas, rather than building into existing centers. The style of each region is evolving quickly, unpinned to long history. Each city is influenced by a handful of architecture firms and the municipal governments and planners of the day. By keeping an eye on things as simple as hardscape and site furnishings, we can begin to see local trends and influences. These may break off into interesting regional differences over time. Perhaps the West Coast Contemporary style will be separated further into north and south regions, or Vancouver Style and Portland Style will greatly diverge as Portland densifies. In big ways, vernacular style reflects as much about resources as it does about philosophy: glass towers are more viable in a Northern rainforest and brick is less needed for insulation. Yet when given options equal in cost, regions make differences based in preferences. Bollards are such a choice. These small selections change the aesthetic and the feel of a place.